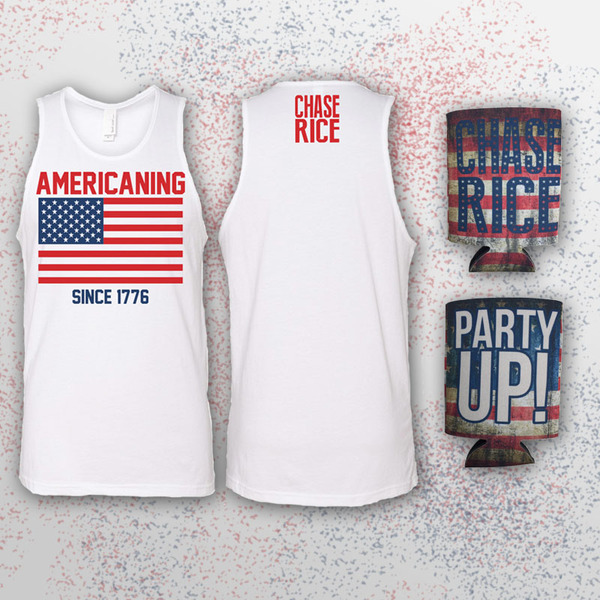 Get $5 off when you buy the Americaning tank just in time for Independence Day! The first 25 orders will receive a free Party Up koozie. Item on sale for 24 hours only here on the online store! Shop here.